Facial skull fractures fixation. Artwork of a frontal view of a skull where surgeons have carried out internal fixation of fractured facial bones. The metal implants used here include plates, screws and titanium mesh. 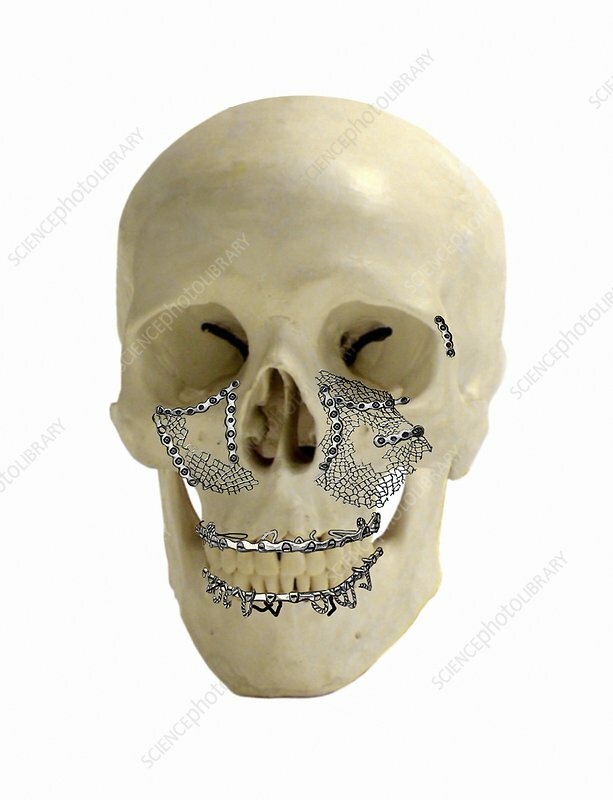 The bones fractured include both upper and lower jaw bones (with interdental wiring), and the maxillary bones of the cheek and nose, and the orbital bones of the eye sockets. Such fractures are typically caused by blunt force trauma. The metal implants fix and hold the broken bones in place, allowing them to heal in their correct alignments.